Our pre-registration is a great feature that will allow you and your staff/volunteers to register your guests with their payment information when they arrive at your event. 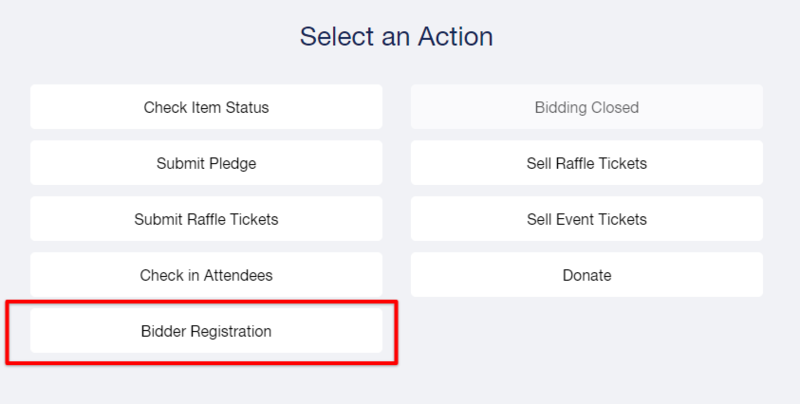 The pre-registration feature also will automatically assign bidder numbers to your guests, allowing you to use these bidder numbers for reference during your live auction or live appeal / fund a need. The pre-registration page will be available to all admins and volunteers assigned in the user management page of your console - learn more on how to add volunteers here. Once you submit, the screen will populate with the guest's bidder number. The guest will also receive a text message informing them of their bidder number and providing them with the online link to begin bidding on your silent auction items!